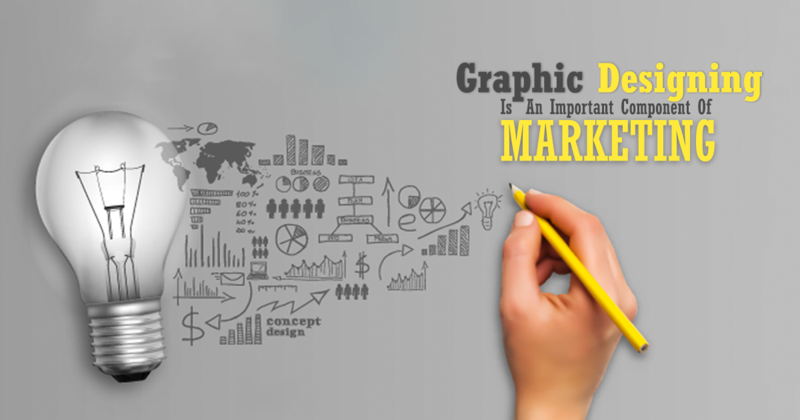 Want To Know How Graphic Designing Is An Important Component Of Marketing? As the market is becoming highly competitive day-by-day and consumers have started turning to technology and the internet for information and experiences, so it has now become vital to have a solid well-branded footprint on the web. At Crux Creative Solutions, one of the best creative brochure designing company in Delhi, we understand the need of a holistic and collaborative approach to creative designing because now graphic designing has a big role to play in the modern competitive business environment. Graphic designing has an important role to play because visuals are the most striking way to hit the audience’s mind. The messages delivered through visuals remains etched in the viewer’s memory. Although, there are many other ways to convey your messages and to promote your business but conveying the messages with the dash of innovation is the need of the hour. It involves combining technology, aesthetics and creative thinking to generate graphically communicative ideas. At Crux Creative Solutions, one of the best brochure designing services in Delhi, we understand the needs of graphic designing and we offer services in creative logo design, creative 2D animation, graphic design, catalogue design, flyer design, banner design, pamphlet design, poster design, mailer template, newsletter design, mailer design, etc. When it comes to business whether small or large, the thoughtful usage of graphic designing improves the sales of business because good things always attract the customers. When people see unique logo designs, business cards, creative, or brochures on social media and other platforms, the messages directly hits the customers and they get closer to the business. Once a customer gets attracted towards the services and products offered by the business they become a loyal customer and eventually helps in boosting the sales. Along with boosting the sales, graphic designing is also a great tool for earning trust and goodwill in the market because attention is a main asset in the marketing. The process of creating brand loyalty starts from the recognition of the brand logo. Thus, designs should target the audience in a way that is functional, attractive, and professional. The appealing designs help in building faith in the company’s product or services. Whenever a company launches a new product, they prepare a new marketing plan and use visual designing to highlight their products. In this way, slowly and gradually, graphic designs help a lot in building brand loyalty. We all are aware of the fact that ‘a picture says a thousand words’. This is why, graphic designs are more than aesthetics. At times, graphic designers play a great role in conveying information effectively because it is important for the consumers to understand the look and feel of business and only strong graphic designs can do this. We are living in an era where everything is online and most of the times we spend our days by scrolling the feeds online. Thus, it is important for designs to strike the customer’s mind and be effective enough to narrate the whole idea within a few seconds. As a creative brochure designing company, we at CRUX has understood the fact that professionally designed images and creative creates a lasting impression on the clients. Many times, they turned out to be as loyal customers. In order to provide a wide range of potential customers to our clients, our team of graphic designers work to create an impressive impact because the first impression is the last impression.